Home Dresses	A Polka Dot Halter Wrap Dress! I’ve been really having an eye for vintage patterns lately. I especially like the ones from the 1970s. This one is dated 1980, so it still has that late 70s vibe. 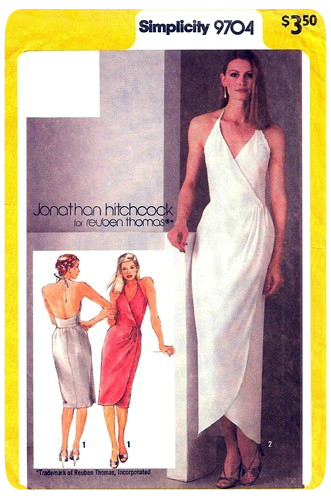 This pattern is Simplicity 9704 – Jonathan Hitchcock for Reuben Thomas front wrap dress with pleated front closing skirt and curved hemline. Tie neckline. 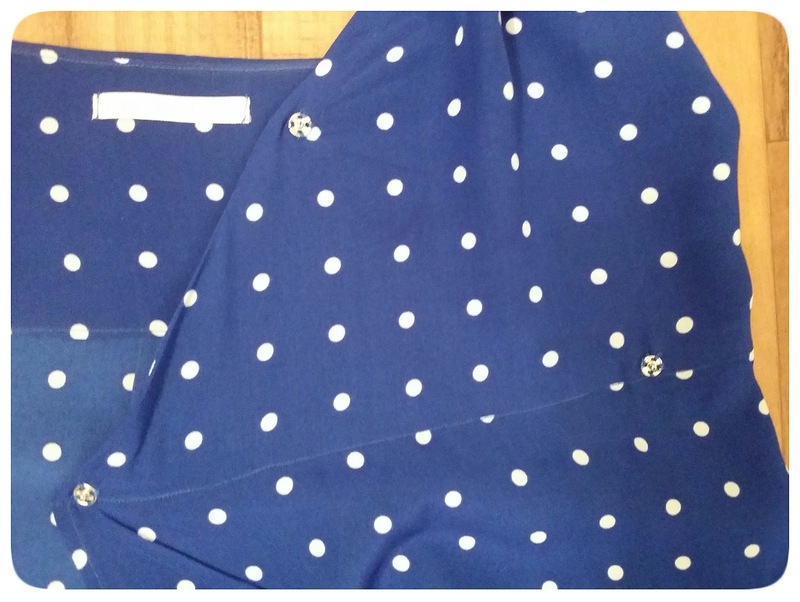 I knew that I wanted to make this dress in a silk crepe, so when I started my search of fabrics I lucked up on this gorgeous Ralph Lauren Dark Blue (more like cobalt) Polka Dot Silk Crepe from MoodFabrics.com. The hand of this fabric is incredible. For my vintage pattern, I used the size 14 — there is only a single size in the envelope. The size seems to fall more in line with a modern size 12. And I was glad of that because I didn’t have to make a single alteration to the pattern. Silk crepe is my favorite fabric and I live in silk pieces during the spring and summer. And this fabric is exceptional. The weight of it made it so easy to cut. And I sewed it as usual with a Microtex needle. The bodice is self-lined and the skirt is not. The skirt is sewn at the center back and I used a French seam. The sides of the skirt are shaped with curved darts. And I used small snaps for closures. I also added one to the center front of the bodice to hold it together to prevent a major wardrobe malfunction. Since the inside shows, I’m glad I made a French seam. And the curved hem is done with a narrow hem and creates a beautiful drape. This pattern was so easy to make, I feel I will make another one before summer is over.